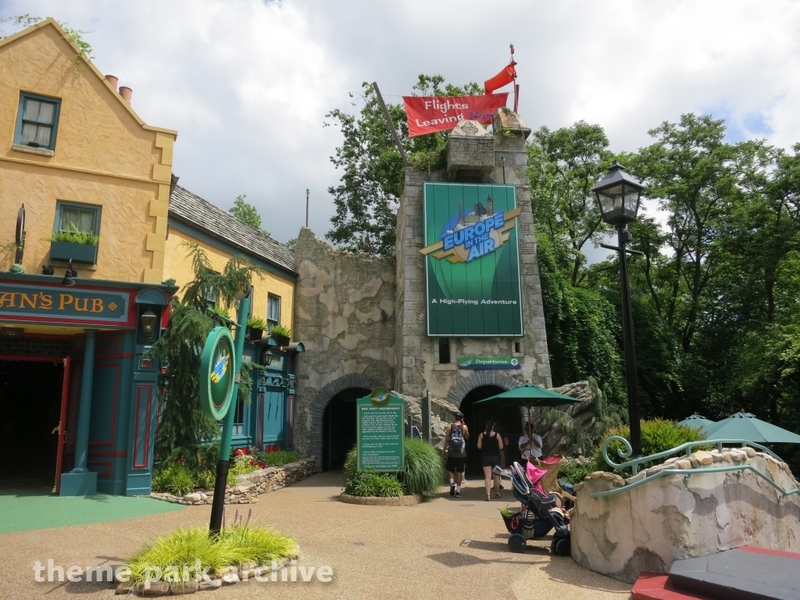 Busch Gardens Williamsburg’s motion simulator theater has quite the storied history. 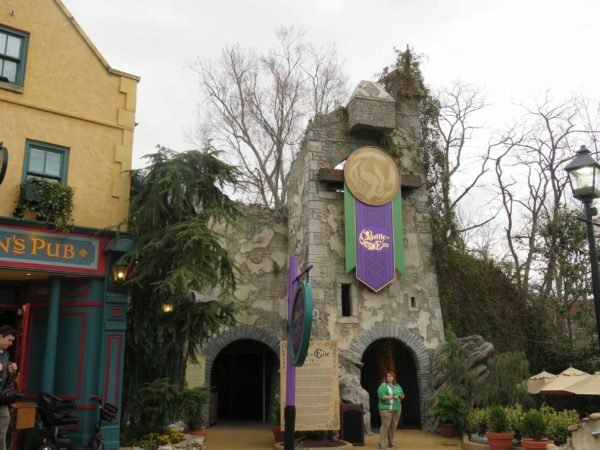 Originally opened as “Questor” in the area the park then known as “Hastings” in 1990, the theater has housed multiple attractions: Questor (1990-1995) and King Arthur’s Challenge (1996-2000) in Hastings, and after Ireland debuted at Busch Gardens Williamsburg in 2001, Corkscrew Hill, (2001-2009), and Europe In The Air (2010-2016). 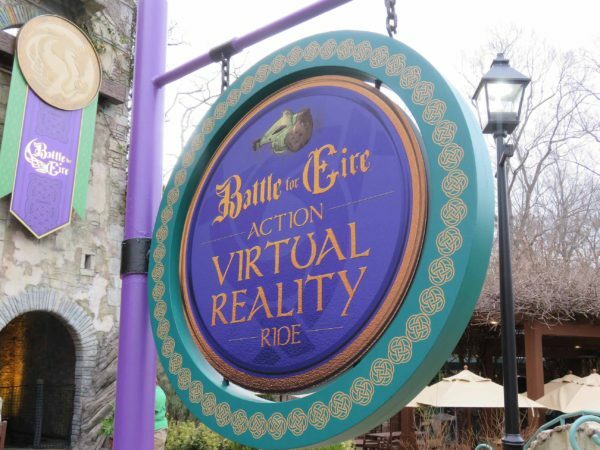 First announced during passholder preview day in 2017, the newest attraction to open in the theater, Battle For Eire, the first Virtual Reality Motion Simulator in North America, debuted for members of the media on Friday, March 30. 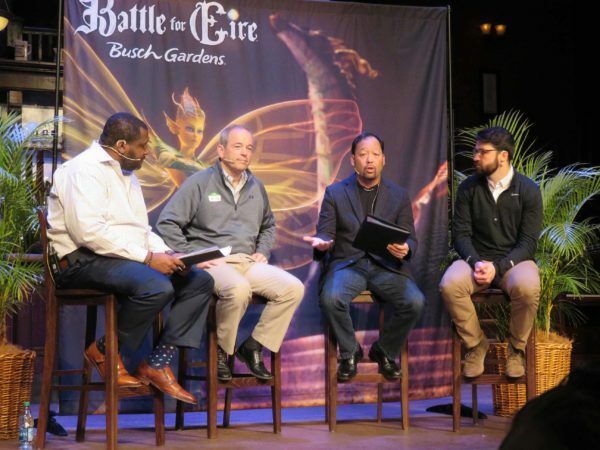 Though the attraction isn’t quite open to the public yet, we were able to experience Battle For Eire, as well as take part in a panel discussion with members of the creative team. 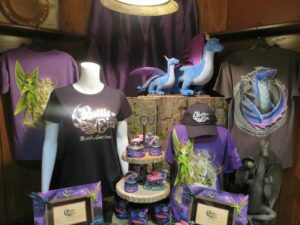 Here’s what we saw! Each media member was assigned a ride time, and were called four-at-a-time from inside Grogan’s Pub. 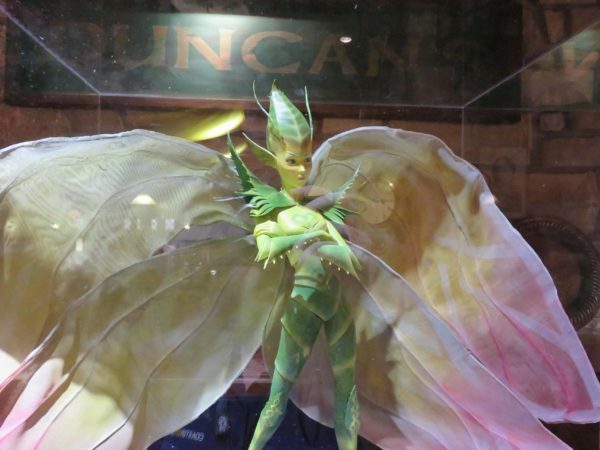 Inside the pub was a nice Battle For Eire display which showcased some of the merchandise for the attraction, and also a model of “Addie,” the attraction’s main character. 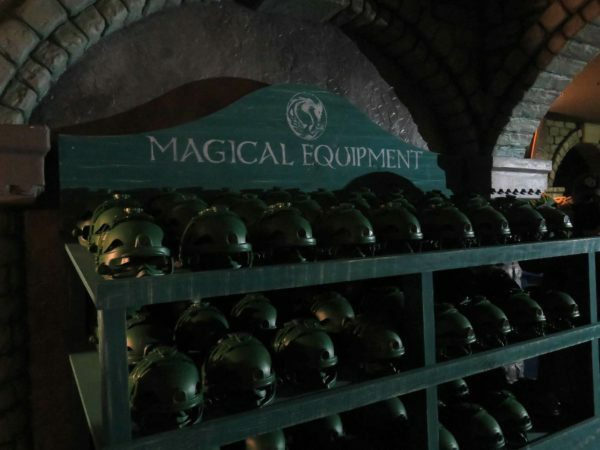 We walked through a dark hallway where monitors were arranged in the queue to explain some of the ride’s backstory and safety instructions. The monitors were not on when we walked through. 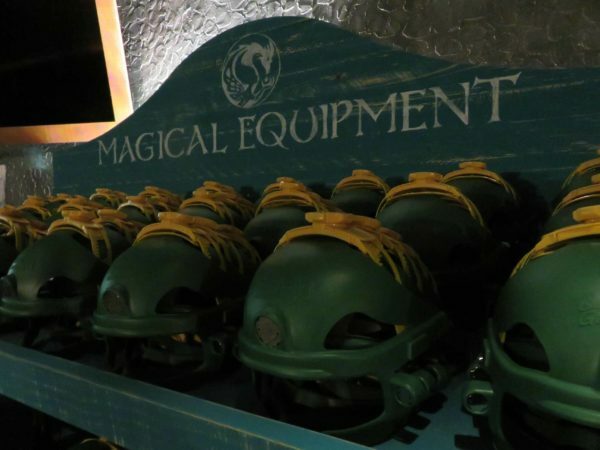 Before the first pre-show room, multiple shelves of “Emerald Helmets” were lined up against the walls in shelves marked “Magical Equipment.” These are the “mounts” for the VR headsets that are used in the attraction. 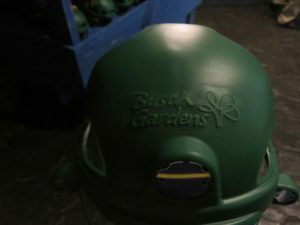 The all-green helmets (Photo 1, above) were for adults/those with larger heads, while the yellow bands were for children and those with smaller heads. (Photo 2, above). 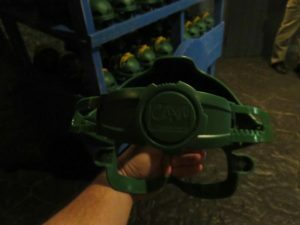 The helmets are pretty light-weight, and tighten in the back with a dial (photo 3, above) similar to a hardhat. 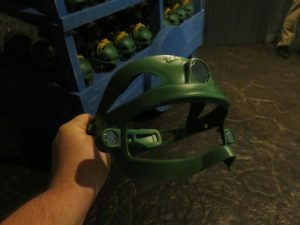 The VR headsets, which are located in the ride theater, attach to the front of the helmet via three magnets on the forehead, and to the left and right of each eye. The “top” of the helmet is open and will accommodate various hairstyles. 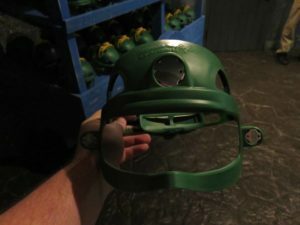 The helmets will be cleaned and sanitized after each use in a special cleaning facility, and are expected to be used 2-3 times a day. 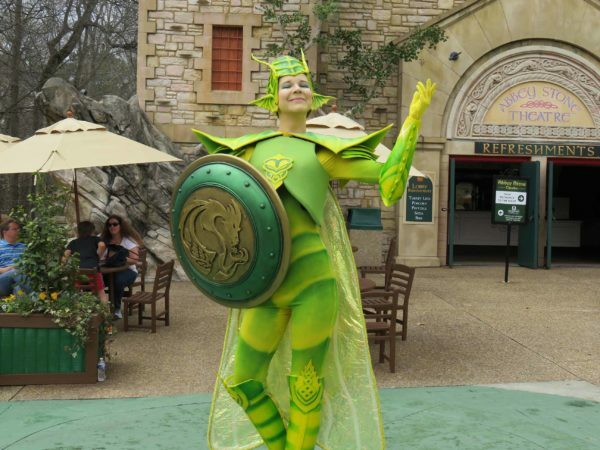 In the first pre-show, we meet Addie, the ride’s heroine, and learn some of the ride’s story. 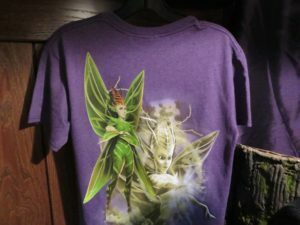 The short version is that we have to help Addie, who is the last remaining fairy in her world, protect the “Heart of Eire” from Balor, the ride’s villain, and his minions, who all are former fairies that Balor has corrupted. 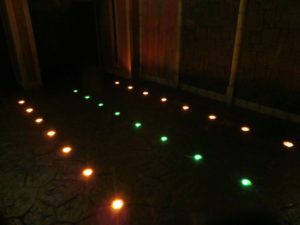 In the second pre-show room, riders are lined up on colored dots that correspond with each of the 59 seats in the theater, before viewing a ride safety video on the screen. 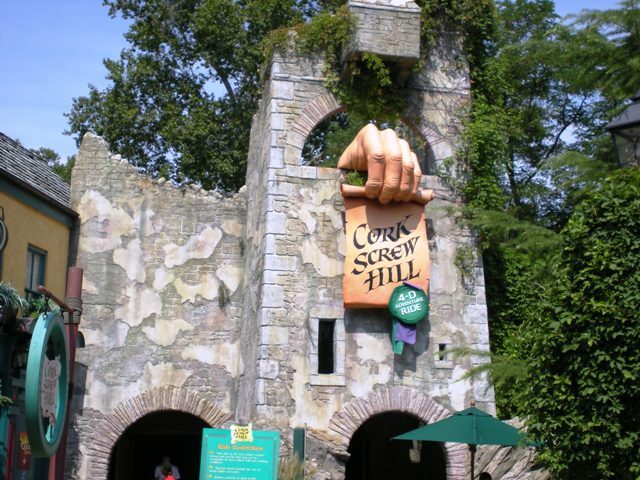 (With the ride cycles taking longer than usual due to POV filming, the safety video was not playing.) 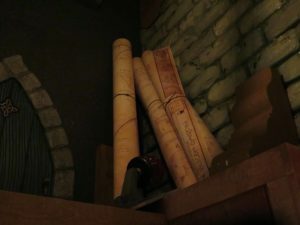 The second pre-show room is designed as a two-story leprechaun workshop. 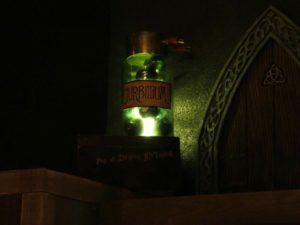 There are several nods to former attractions in this room, including a red signal light from Europe in the Air, and Duncan McTavish’s crate from Corkscrew Hill. A nice touch! 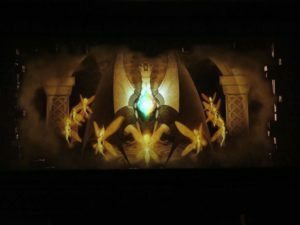 This first video is a short preview of the ride film that is shown on both the screen and in the VR headset. 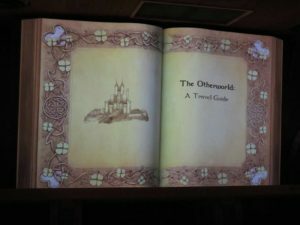 The second video is a reverse POV of the entire attraction. (Shoutout to Devin Olson Media for filming these!) 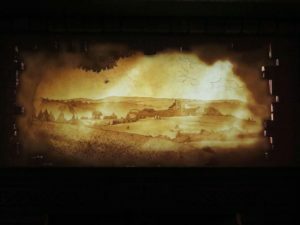 If you start the second video about four seconds in, the two videos will somewhat sync up for the length of the first video. It’s truly a 360-degree immersive environment, which is why I was looking around throughout the reverse POV video. There’s action happening all around you, and you’ll probably see something different each time you ride. 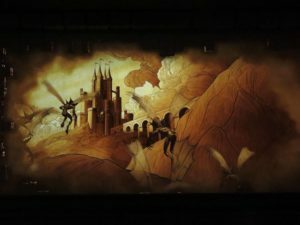 The motion platform and VR headset were synced almost perfectly, and even as someone who isn’t a big fan of VR typically, I enjoyed the ride a lot — definitely more than I anticipated. 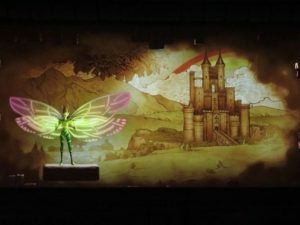 It’s honestly the best application of Virtual Reality that I’ve seen executed in a theme park setting. 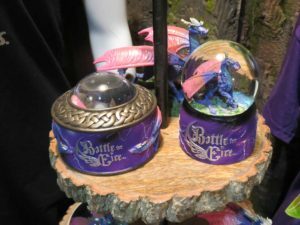 I think once Battle For Eire opens (no set date yet, other than “April.”) (EDIT: Battle for Eire Opens on April 13) families are going to love this attraction. 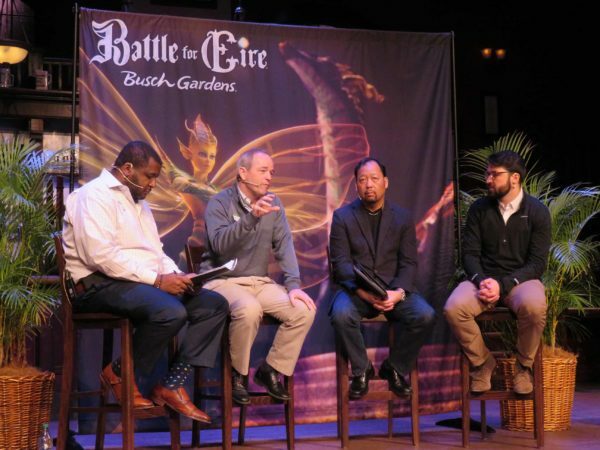 We learned a lot about the technology behind the ride, the design process of both the ride and VR headsets, and some other unique facts during the 25 minute panel discussion. 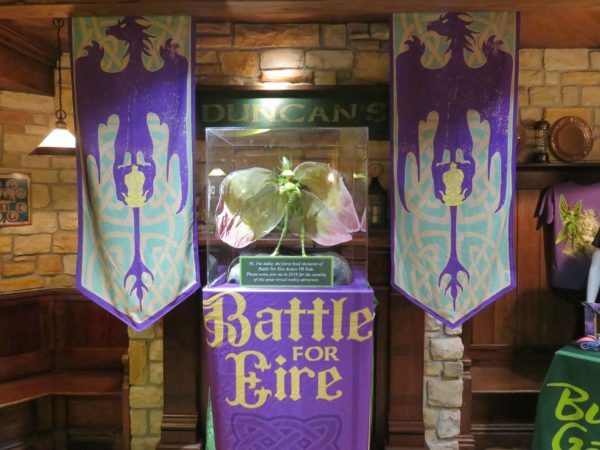 For more information about Battle for Eire, be sure to visit Busch Gardens’ website, and follow the park on Facebook, Twitter, and Instagram. 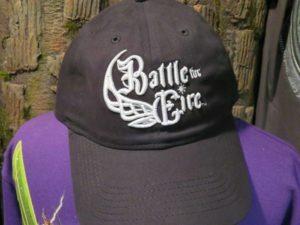 Battle For Eire opens to the public on April 13! Are you excited to ride? Let us know in the comments below!